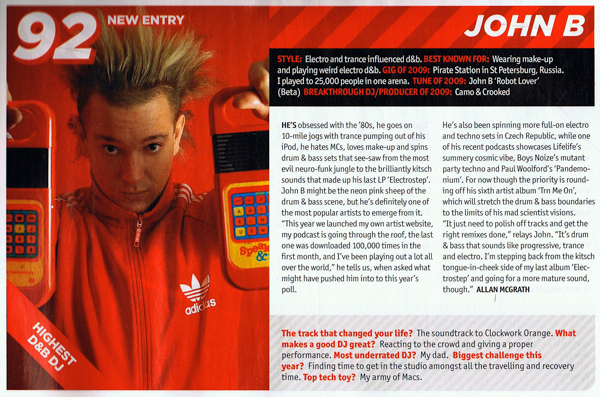 The John B Blog: DJ Mag Poll - I made it into the Top 100 & got highest DnB DJ!!! 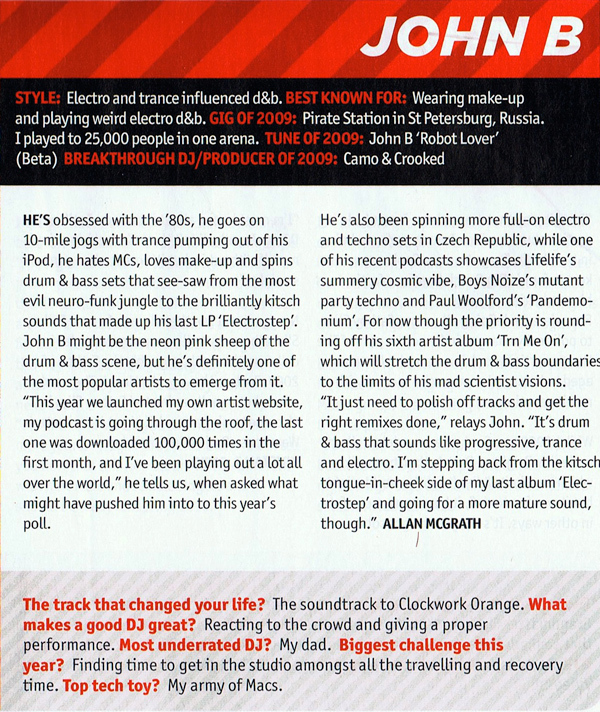 DJ Mag Poll - I made it into the Top 100 & got highest DnB DJ!!! Should have posted this sooner but I've been in a cycle of celebrating & being hungover since last week! If you follow me on twitter or saw the news/mag already then you'll know but - WE DID IT!!! I got to number 92 in the DJ Mag Top 100 Poll, and was the highest DnB DJ in the whole thing!! Anyway - I'm absolutely over the moon with the result, it's an amazing achievement to finally break into the DJ Mag Top 100, and an honour to be the highest Drum & Bass DJ! Thank you SO MUCH everyone that supported me in the poll - I promise I'll keep the podcasts coming, and keep giving it 200% on tour! Thanks!!! You can see the full Top 100 list in this month's edition of DJ Mag, or on the DJ Mag website if you click here.